The mountains deep in West Virginia are full of old folklore, legends and ghost stories to unearth. 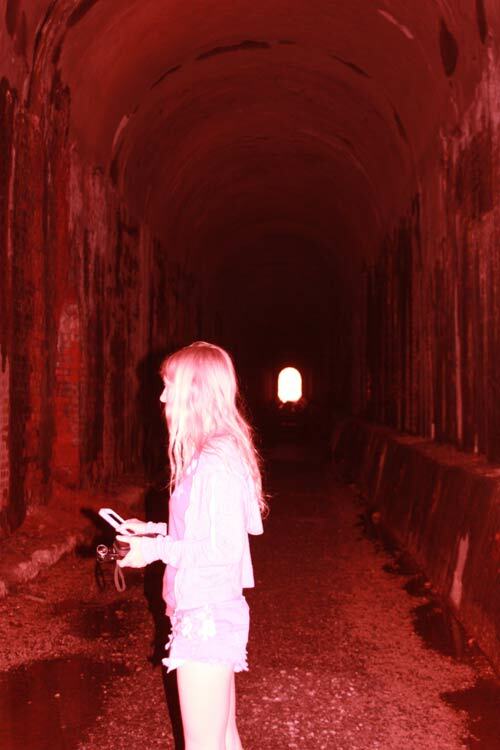 Many arise from the railroad era, ghostly tales passed down from one generation to the next. Some can even be dug up out of old, dusty newspapers. Like stories of the Tommyknockers. The name sends shivers up the backs of those who know the origins—it comes from the pops, knocks, and bangs miners would hear right before the walls of a tunnel they were digging would collapse. The sounds were attributed to both imp-like creatures and the ghosts of miners who had died before them. The farther back a miner dug, the bigger the chance a Tommyknocker would be awakened. But both signaled warning. If you heard a Tommyknocker, you better run. The world was going to come crashing down on you! 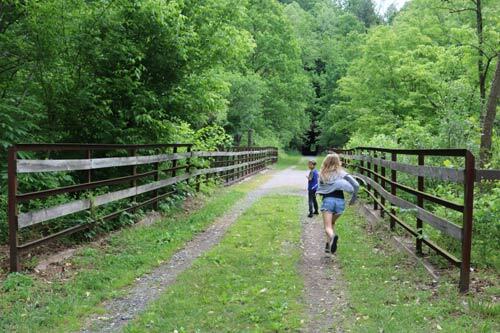 There’s a place along the West Virginia North Bend Rails to Trails near Salem (305 Flinderation Road Salem, WV 26426 or 39.294294, -80.509783) where Tommyknockers have been heard. A reporter from the Sandusky Star Journal picked up the story in 1927 and wrote about a man who heard voices coming from the tunnel. 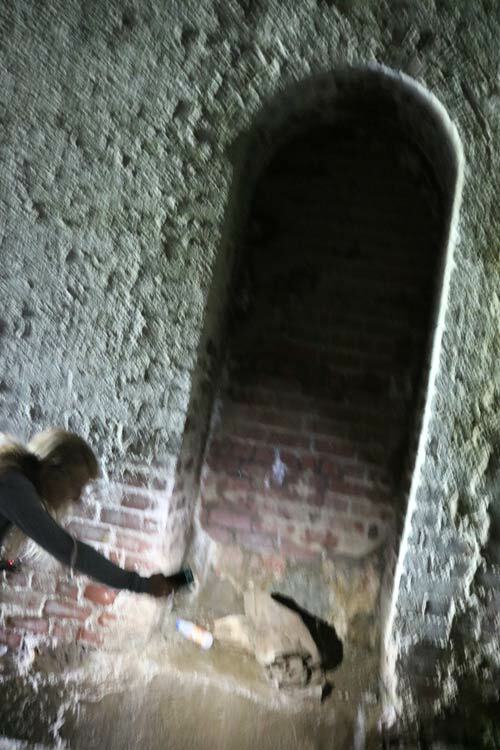 He followed the sounds to one of the indentations in the tunnel called a manhole so those walking within could escape a train coming down the tracks. He expected someone to be inside. But when he lit a match to peer within, no one was there. 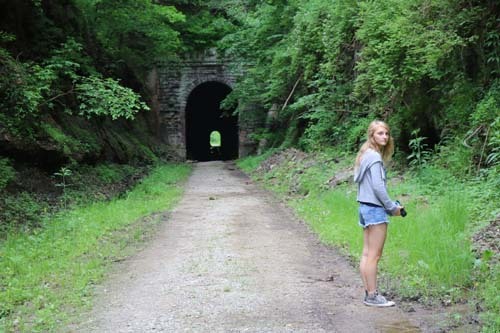 His account has been one of many throughout the years of strange voices, sobbing, and chatter heard within the tunnel which is known as both Flinderation Tunnel and Brandy Gap Tunnel #2. 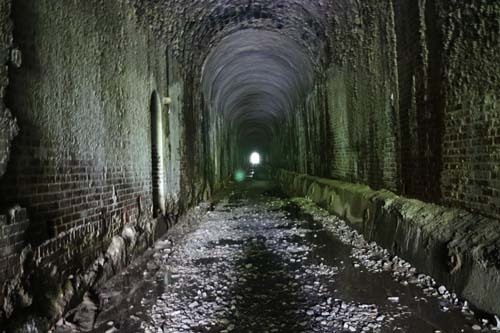 Even as the railway was being worked on from 1852 to 1857, workers of the Northwestern Virginia Railroad building for the B & O reported strange lights inside the tunnel. Legends say Tommyknockers are known to take Saturday off. When Hanley was killed, it was on that day. He may not have been warned. But fellow workers would hear his ghostly chatter and other sounds. Whether they were comforted by it or felt fear, we won’t know. They, too, are dead and gone. Maybe they have returned to keep their fallen comrade company. Or maybe they simply want to scare unwary hikers away. You can listen for the Tommyknocker and be scared away too. 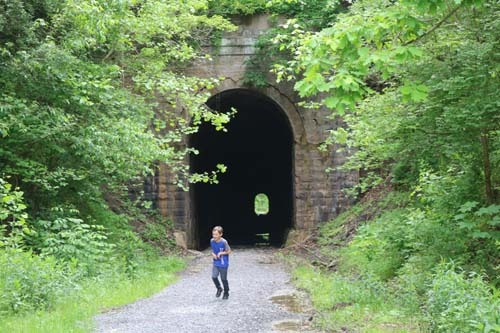 The tunnel is part of the Parkersburg Branch of the North Bend Rails to Trails. Just make sure you follow their rules. You can visit Flinderatin Tunnel. Bring a Flashlight.